Equineline reports are available for purchase on a per product basis - there is no subscription required. Equineline.com offers a wide range of reports for any Thoroughbred, such as Pedigrees, Individual Past Performance Race Records, Mare Produce Records, Sire Reports, Auction History, Nicking Reports and More. The information provided through equineline.com is accurate, timely, comprehensive and international. 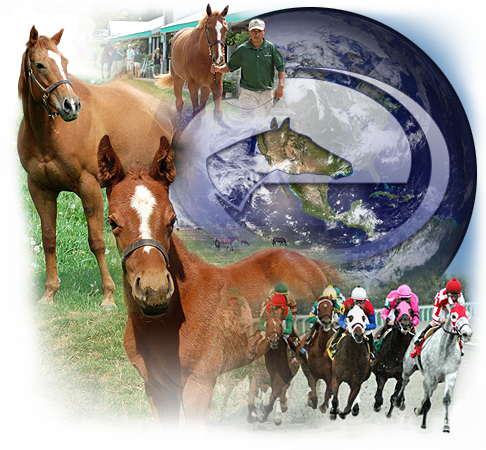 As a wholly owned subsidiary of The Jockey Club, our Thoroughbred pedigrees and racing information are from the authoritative sources both in North America and around the world - as equineline.com provides this information from over 30 countries - and in a timely manner. Equineline.com, in partnership with the American Quarter Horse Association (AQHA), offers a wide variety of reports for Quarter Horses and Thoroughbreds running in Quarter Horse races and those producing Quarter Horse foals. Reports include Pedigrees, Past Performance Race Records, Mare Produce Records, Sire Reports and Nicking Reports. The information provided through equineline.com for Quarter Horses is accurate, timely and comprehensive.